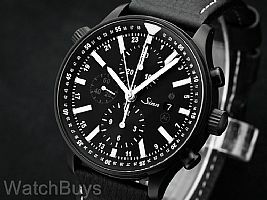 This is Sinn's largest pilot's chronograph, and the case features Sinn's hardened black PVD Tegimented technology. 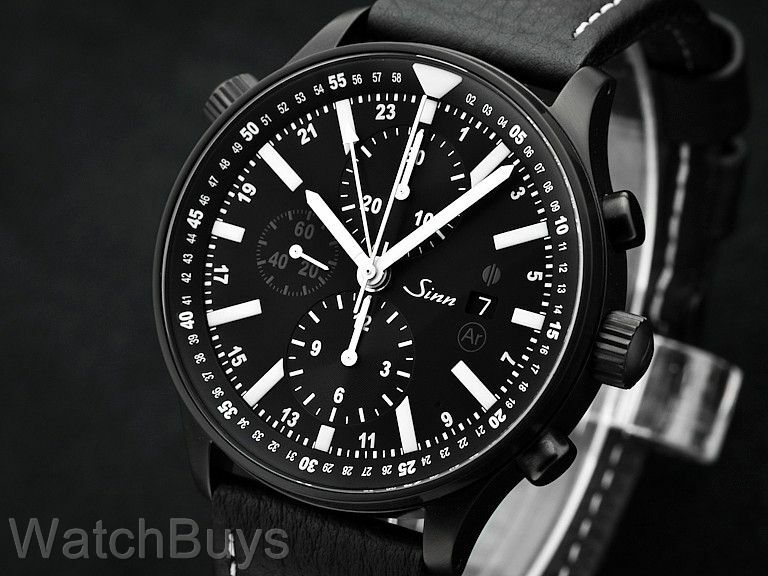 Sinn calls this model "Der große Fliegerchronograph" with a case diameter of 44 mm, sapphire crystal, water resistant to 20 ATM and features a calf leather strap and black tang buckle. Next, this case offers magnetic field protection of up to 80,000 A/m, among the highest for any mechanical watch. Magnetism can cause dramatic swings in the timekeeping of a mechanical watch movement. People are often exposed to magnetic fields without even knowing so – frequent high altitude flying, metal detectors, audio and video equipment, medical equipment and computer equipment to name a few.